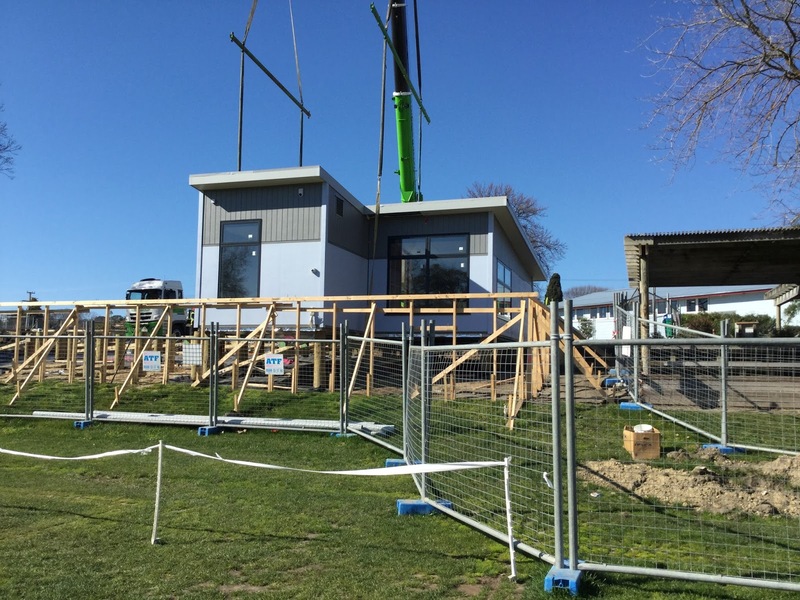 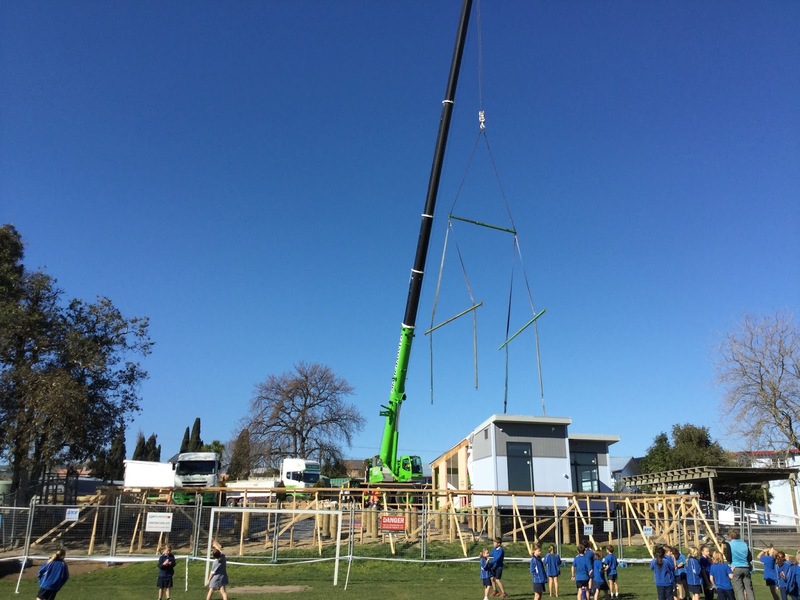 The last few weeks have seen lots of exciting happenings outside the back of the hall at Havelock North Primary. 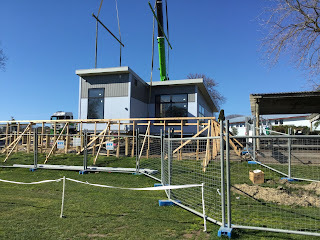 There have been lots of trucks and workmen moving around.There has even been an enormous crane.We have been able to go and view some of the site preparation and then watch as parts of the new classrooms were put in to place.We have used this event in our oral language and story writing.Presently there are two classrooms being assembled and there will be another two rooms later on in term 4. 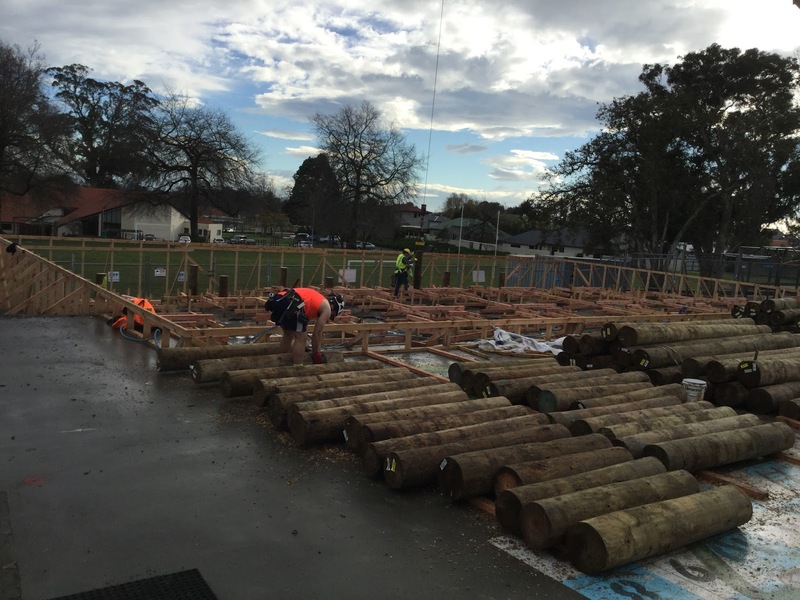 Large piles waiting to be craned in to place. Crane about to shift parts of the new classrooms. The view from the field towards the new classrooms.